A look back (first published 3.1.2016): I flew through this airport many times during our two years in Campania. On one of the last trips I managed to lose my passport somewhere in duty free, but found it later waiting for me at my departure gate. Early morning outside the Aeroporto Internazionale di Napoli. 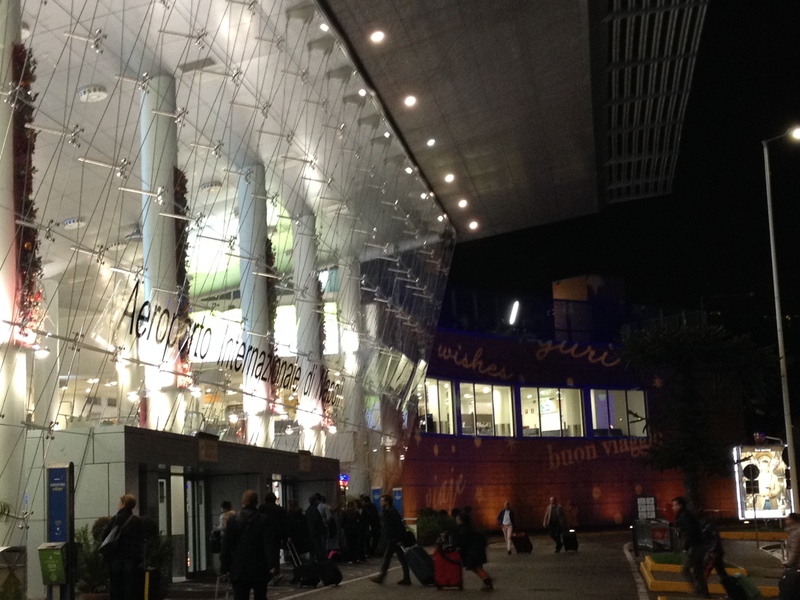 Most airports I’ve met recently are soulless travel malls … apart from one – the Aeroporto Internazionale di Napoli. This entry was posted in Italy, Naples, Other discoveries in Naples and tagged Aeroporto Internazionale di Napoli, barista, espresso, Naples International Airport, Napoli. Bookmark the permalink.